OOoh nice! I still need to read Red Queen but I suspect I will love it! I am eager for this one too. I liked the twist in the first book and hopefully this one has some surprises up its sleeve as well. I cannot wait for this one ^^ February come soon!!! Very excited for this! One of my most anticipated novels of 2016. Great pick! I am so excited for this one too! I had the ARC of the first book, wish I could get my hands on an ARC on this one! Great pick! I am waiting right behind you! 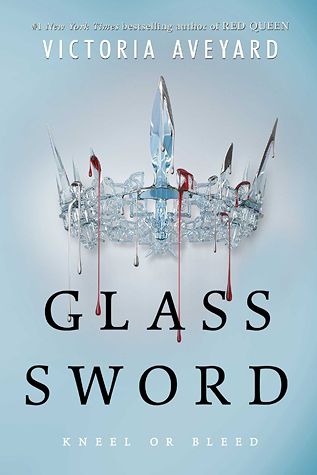 One of my biggest regrets at YALLFest, was being too late in line to get an ARC of Glass Sword. If I ever go to YALLFest again, I will need to figure out that whole line thing quicker. I still haven't finished Red Queen yet because I kinda got turned off by the love triangle. I think I'll let all the books in the series be released first before I start reading again. Yes! This book is so good! Great pick!